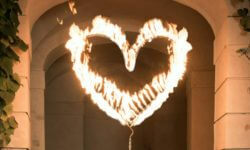 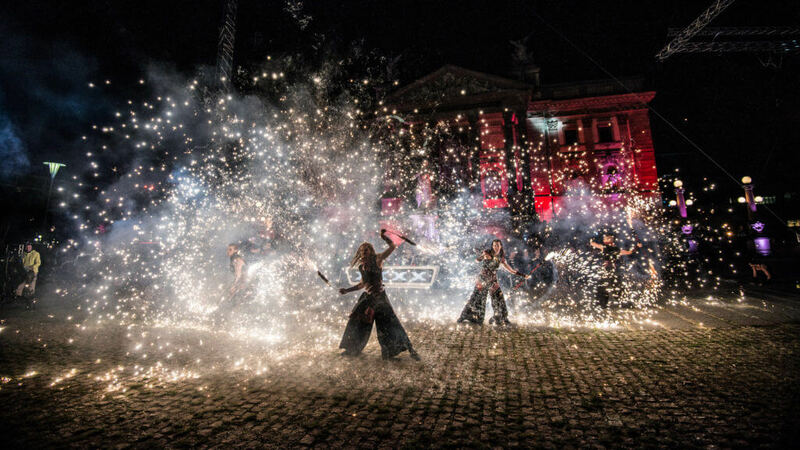 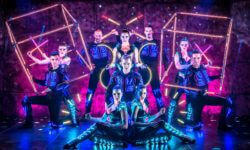 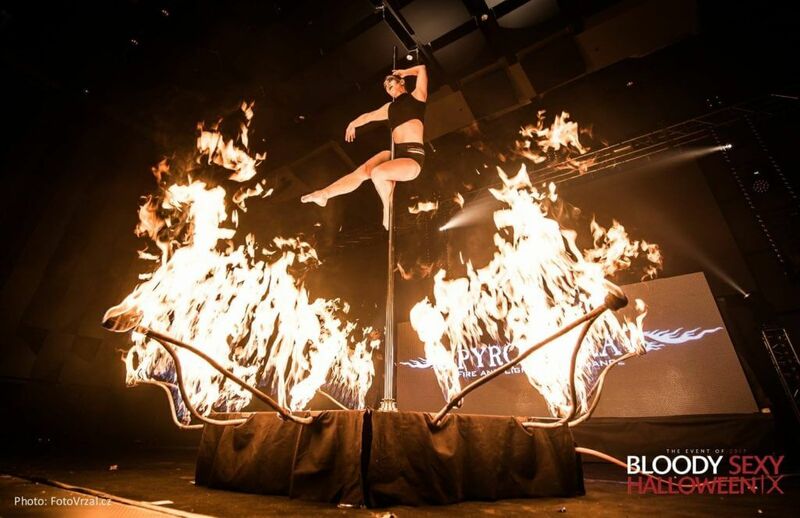 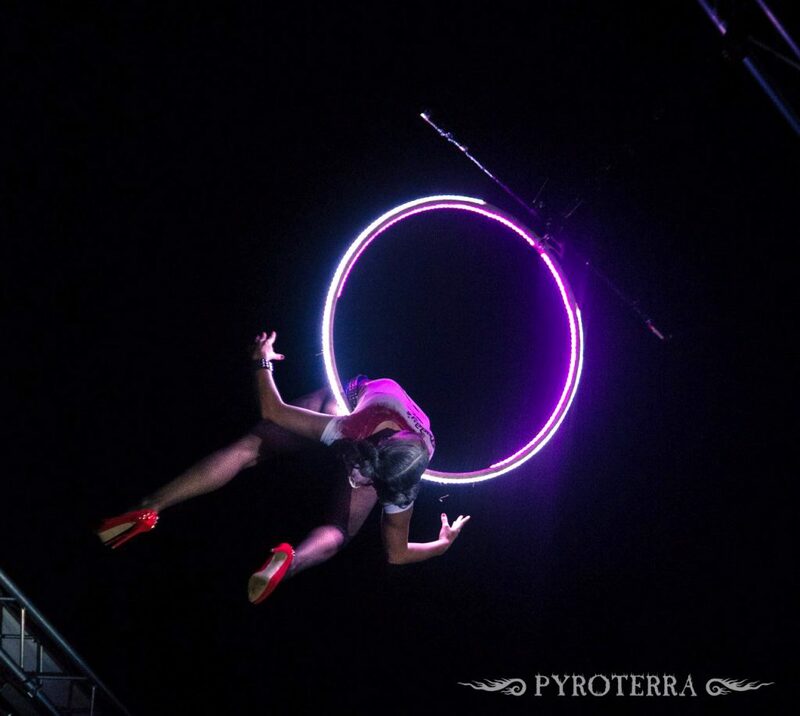 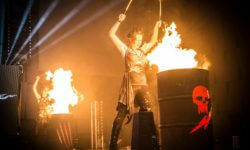 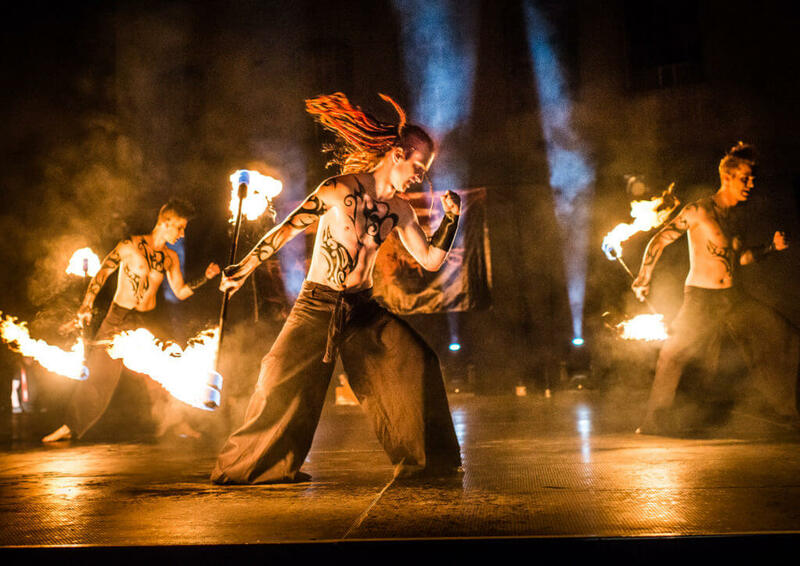 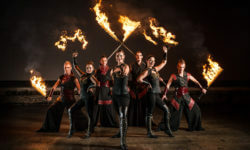 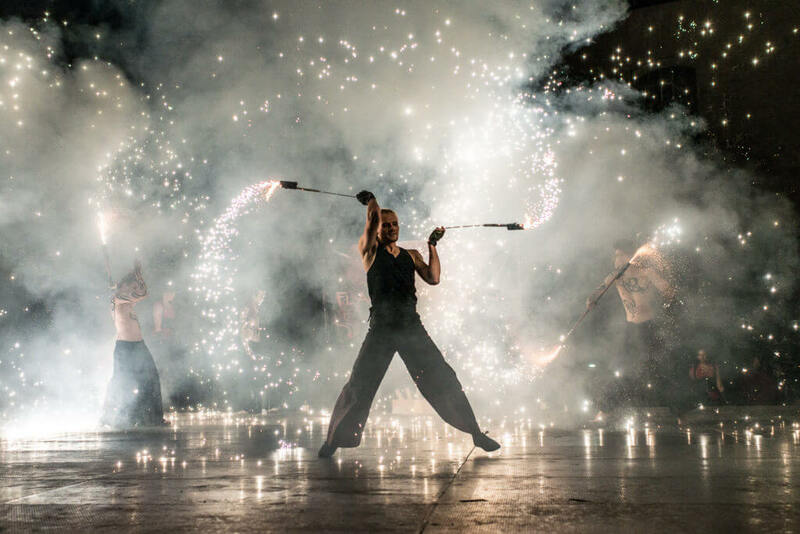 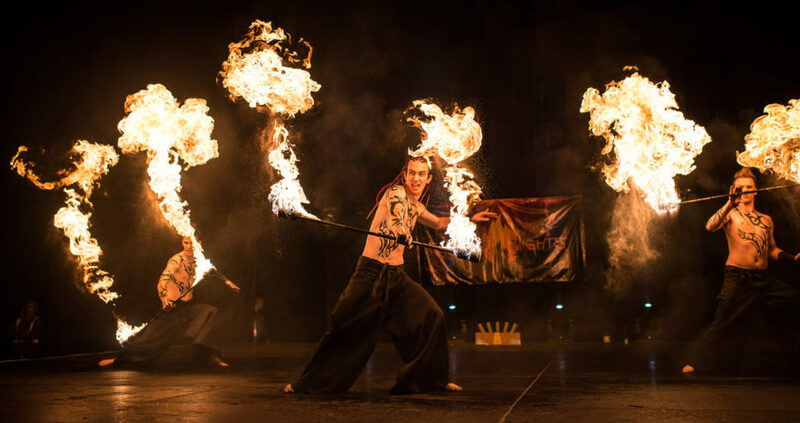 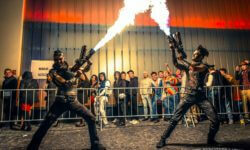 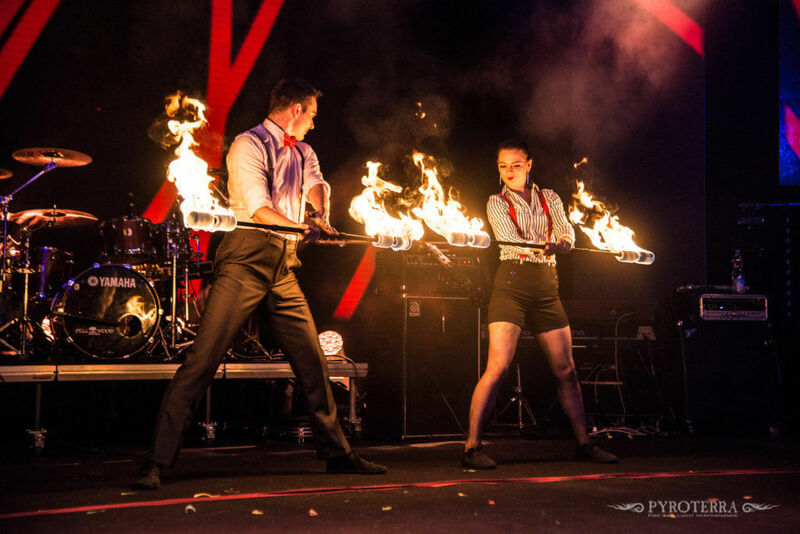 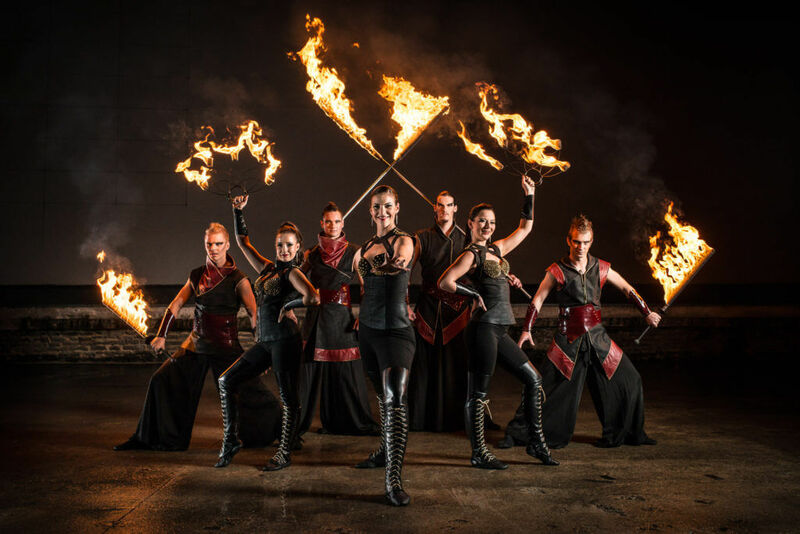 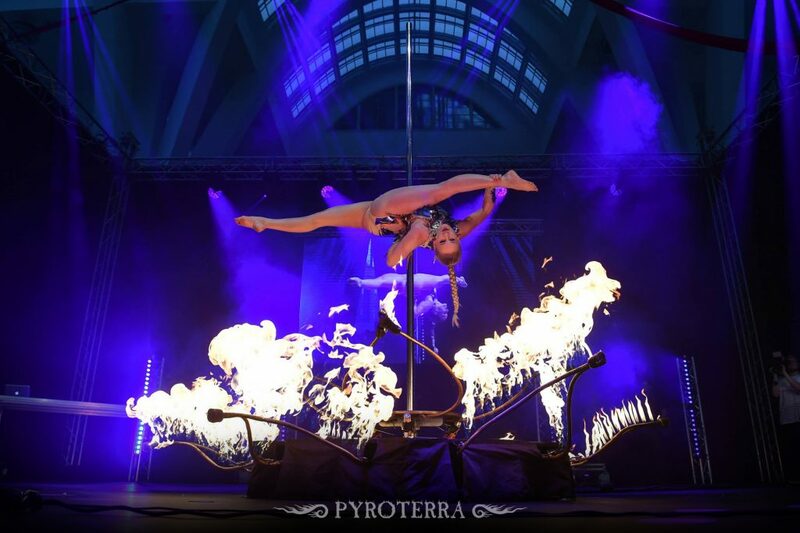 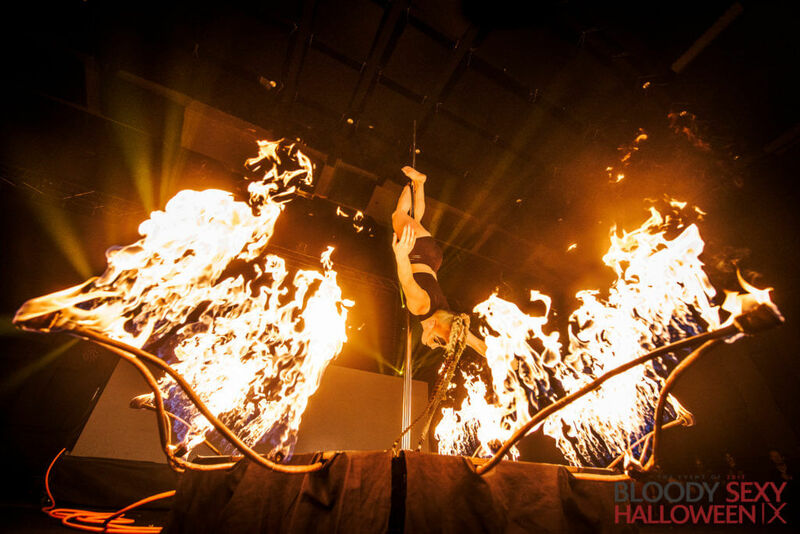 Modern and stylish fireshows with pyrotechnics and special effects. 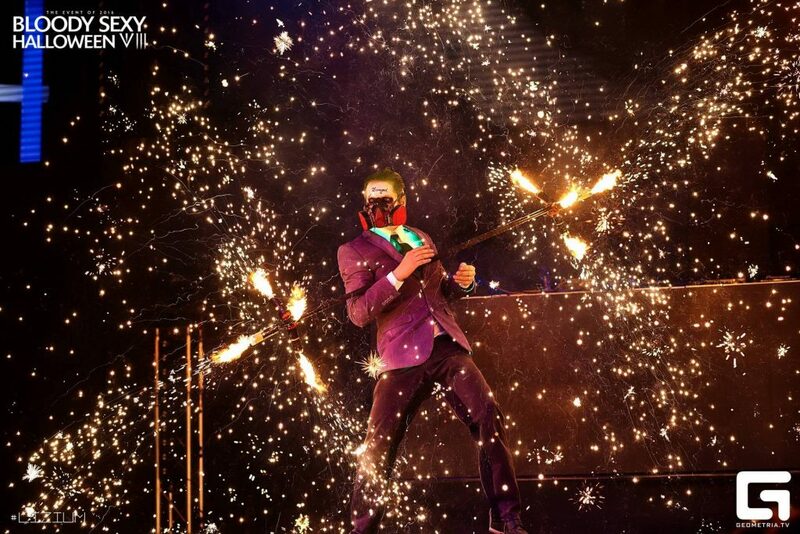 Creative choreographies, WOW effect and a maximum safety. 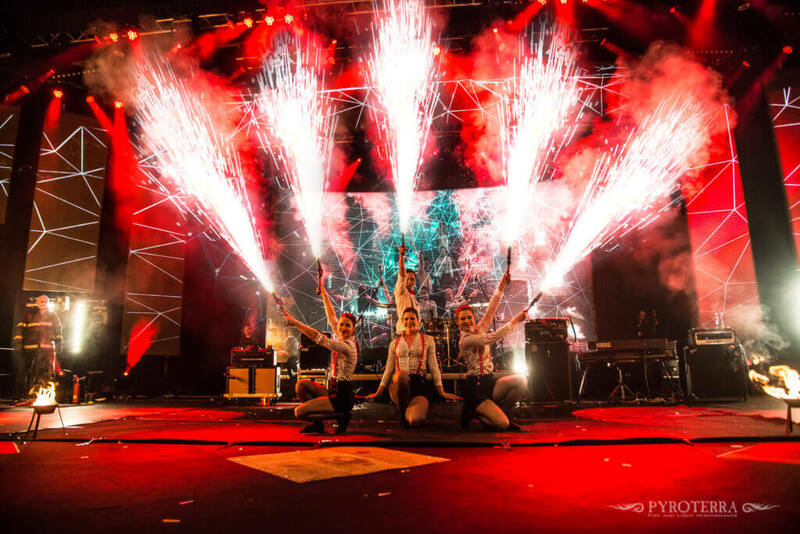 A modern show with positive atmosphere and a fast energetic tempo. 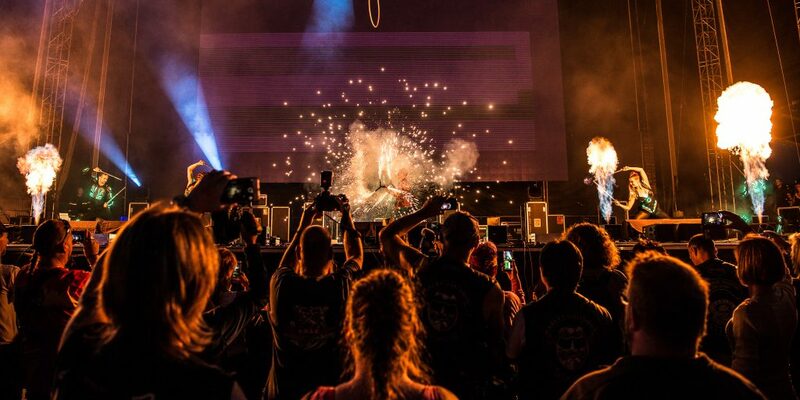 Fire, pyrotechnics and rock music. 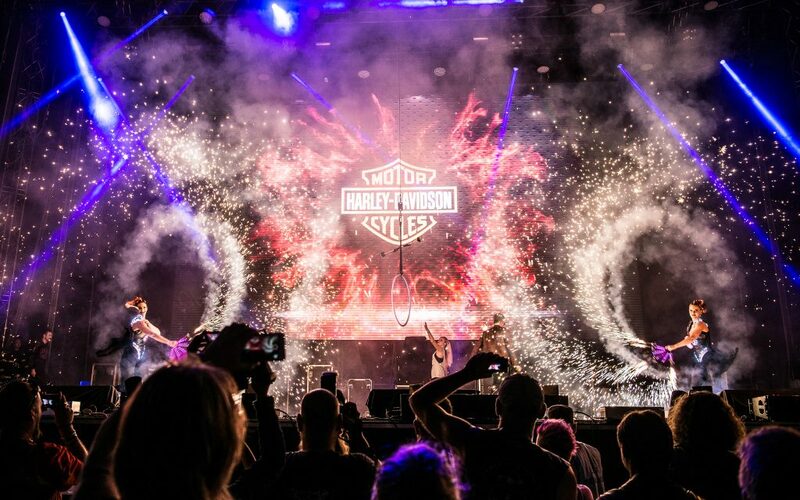 That's the perfect combination for a dynamic show. 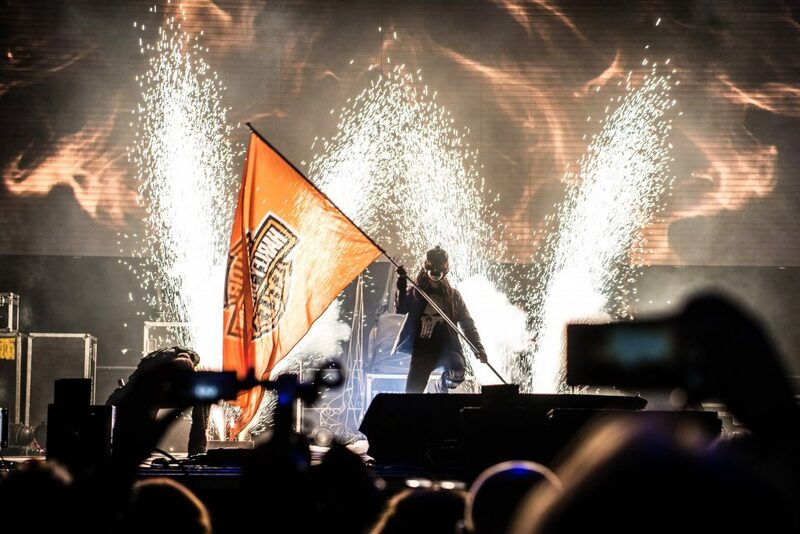 Wolrd's unique show. 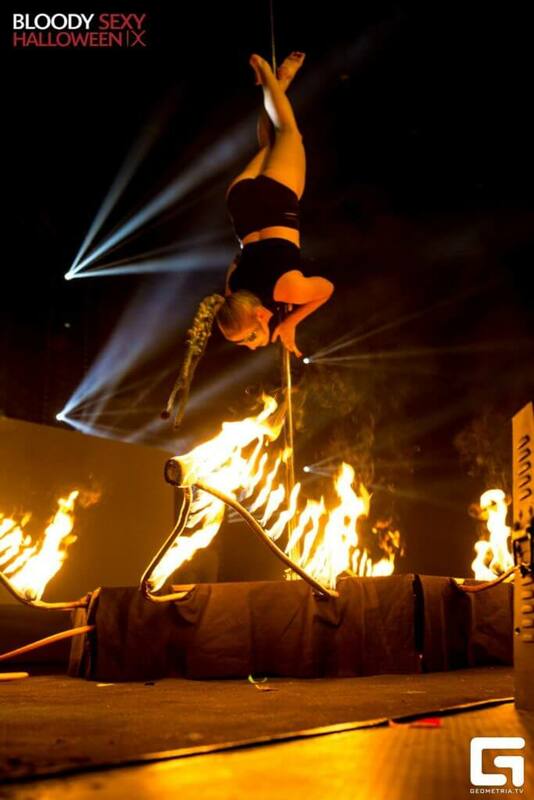 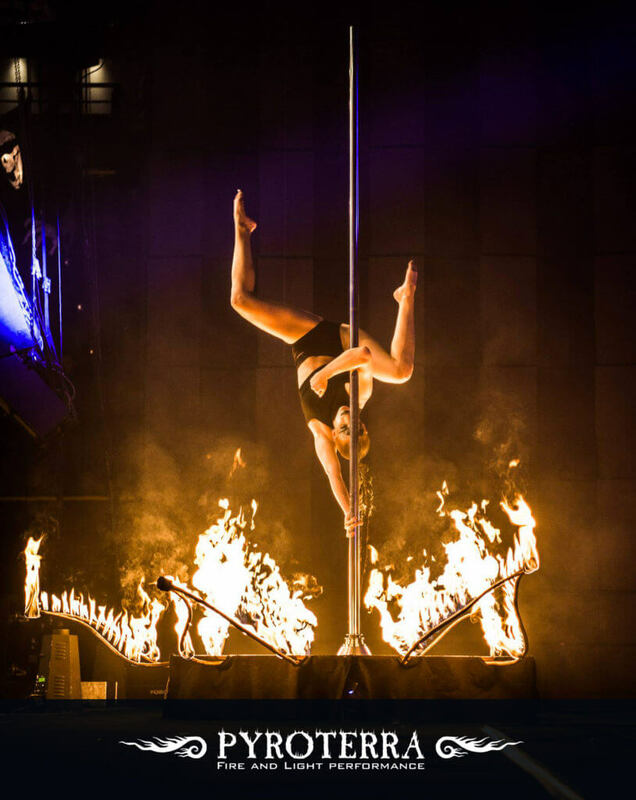 Fire meets acrobatics on pole. 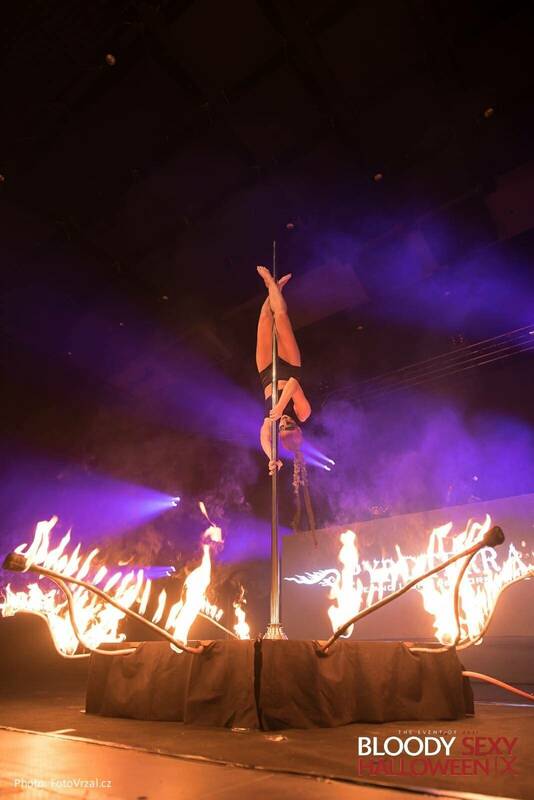 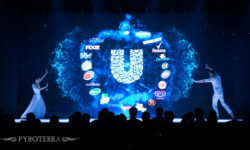 Big performance for the greatest events. 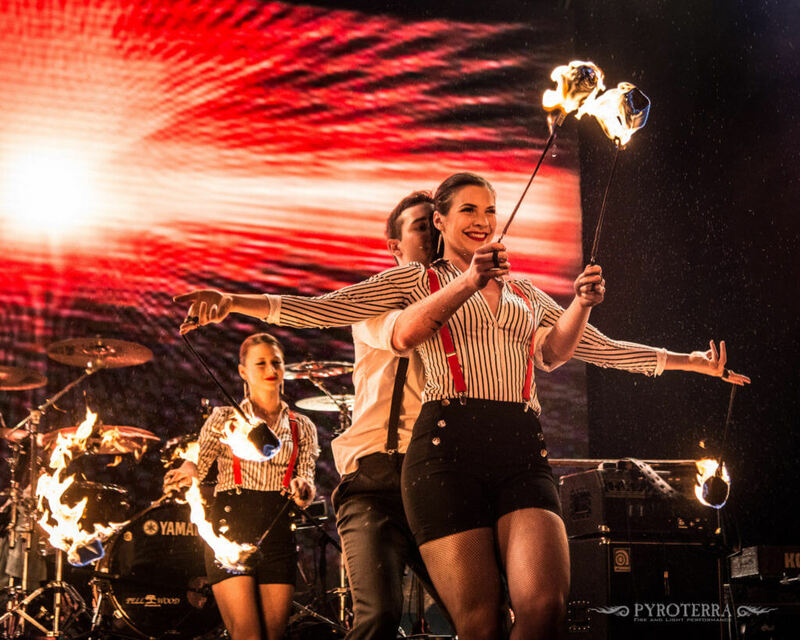 Combination of LED, Fire, Pyrotechnics and acrobatics. 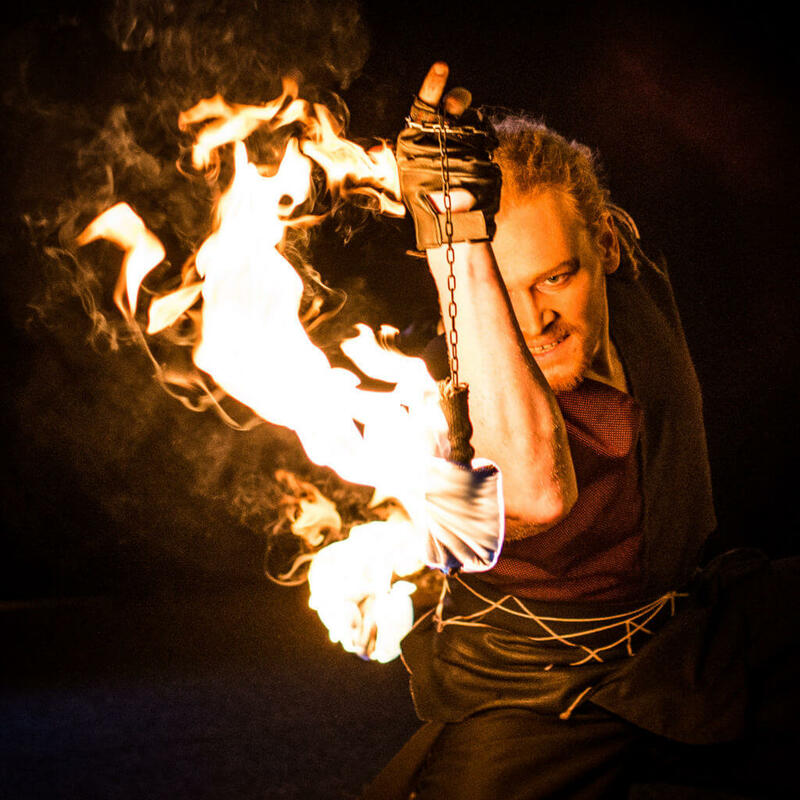 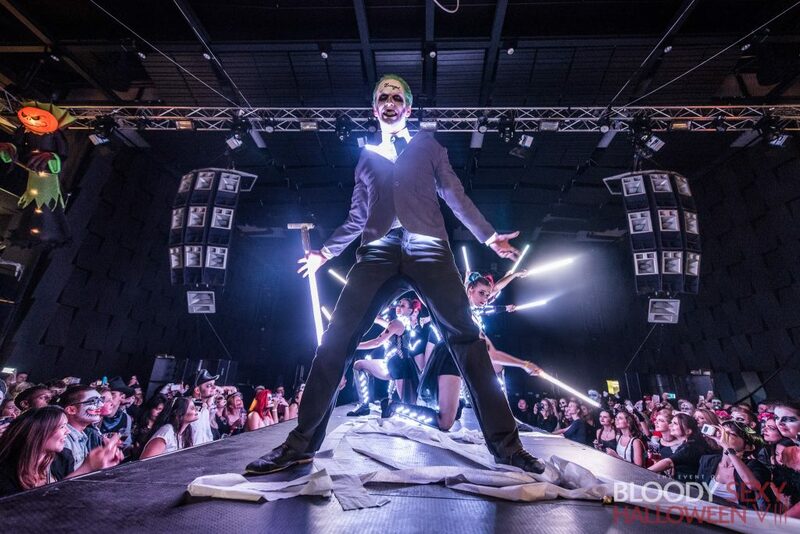 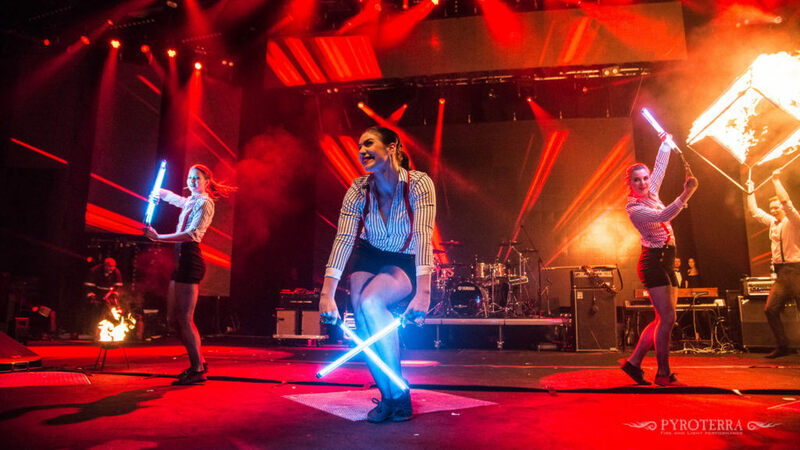 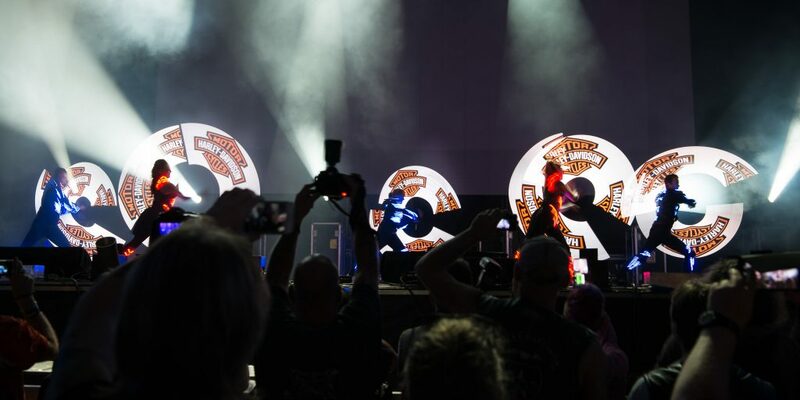 Communicate with your audience through moving experience during our shows. 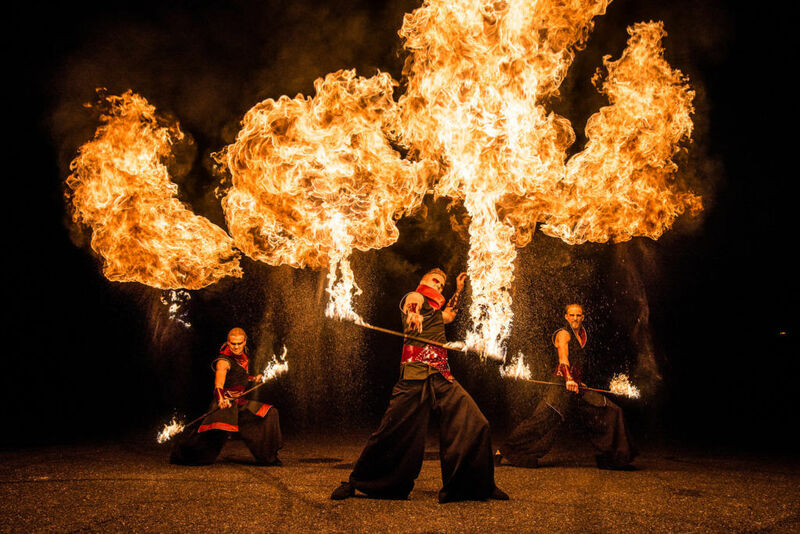 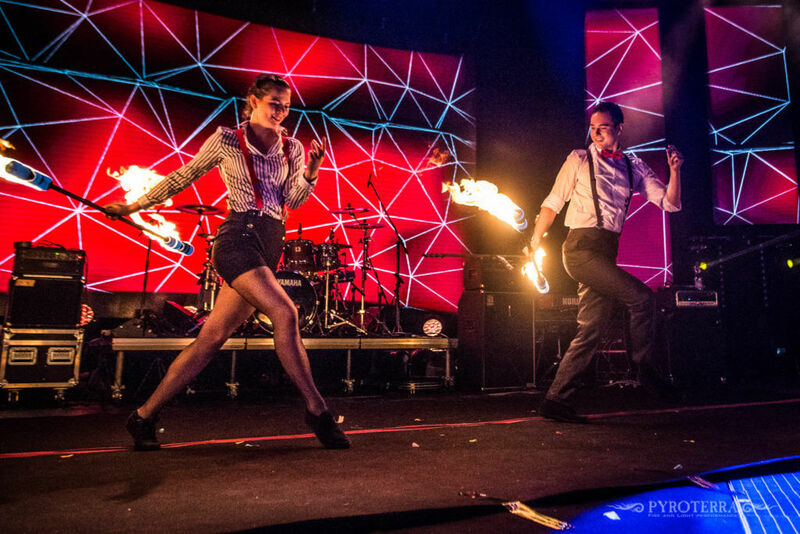 Visual Poi™ effect is now included in all of our fire shows. 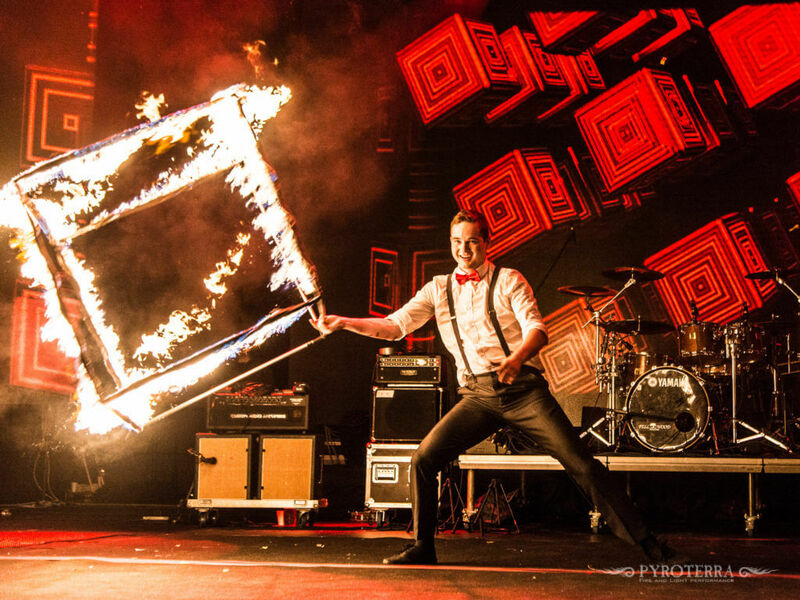 Modern technology, at your service. 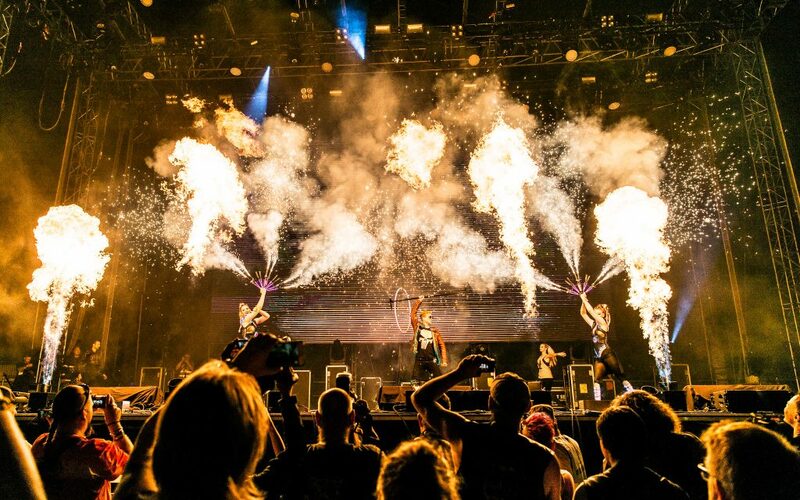 Extraordinary stage pyrotechnics for indoors and even bigger effects for outdoors.